If anyone looking for AdWords helps meets Perry Marshall at first, he or she is lucky and will be immensely benefited from Perry’s advices. He is a pioneer in Pay-Per-Click advertising. Perry Marshall is the world’s No. 1 consultant on Google AdWords advertising. 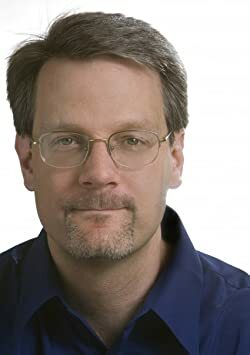 Perry Marshall books include “80/20 Sales and Marketing”, “The Ultimate Guide to Google AdWords’’ the world’s most popular book on Google advertising, and “The Ultimate Guide to Facebook Advertising”. He was involved at different conferences held in the USA, UK, Canada, Australia, Asia and Israel. He joined with Barbara Corcoran, Brian Tracy, Mari Smith, T.D. Jakes Dan Kennedy and Les Brown. Perry consulted more than 300 industries and a huge number of AdWords advertisers to save billions of dollars. He lives in Chicago. 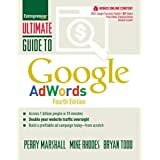 This book is the world’s most popular book and Amazon bestseller on Google AdWords advertising written by AdWords experts Perry Marshall and Bryan Todd along with AdWords and Analytics specialist Mike Rhodes. Read this book and learn AdWords tools and tricks from the top experts. In this book, you’ll learn also about Enhanced Campaigns, Google AdWords Express, Product Listing Ads and Google’s Universal Analytics. Learn about AdWords mistakes you should avoid, writing killer ad copy and much more to get more clicks and sales. A must read book for Google advertisers! This is another bestselling book by the bestselling author Perry Marshall. 80/20 Principle is created for sales and marketing professionals to realize their marketing success easily. With this book, you can locate your profit spots, find high responsive customers, high search engine positions, and go ahead of competitors in your market. For more details and reviews of the book, click on the book title above. A highly recommended book for promising web marketers! This hot new book is written by Perry Marshall, the No. 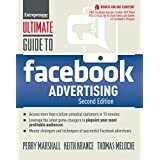 1 bestselling author on Google AdWords, teamed with Facebook advertising specialists Keith Krance and Thomas Meloche. In this book, you’ll find their game changing strategies, tools and reports to discover buying customers, reach them, convert them and keep them as your friends and lifelong customers. Learn how to gain profits from the billion Facebook users. With this book, you’ll create strategic campaigns and get customers very quickly, learn about using Facebook Graph Search and Ad Manager, achieve desired profits and lots more. Facebook is now a profitable marketing platform. Learn how to do it profitably with this hot selling book. Want to say something about this great author Perry Marshall and his books? Leave your valuable comments in the following comment box. And if you are interested in the books, share this page to your friends through social buttons found here. Best Selling Books on Internet Marketing. 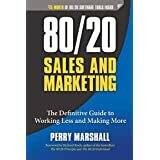 Perry Marshall books include “80/20 Sales and Marketing”, “The Ultimate Guide to Google AdWords'’ the world’s most popular book on Google advertising, and “The Ultimate Guide to Facebook Advertising”. Thanks for sharing latest ebooks. This 20/80 sales and marketing is very effective book for those who want to success in online marketing and earn profit.